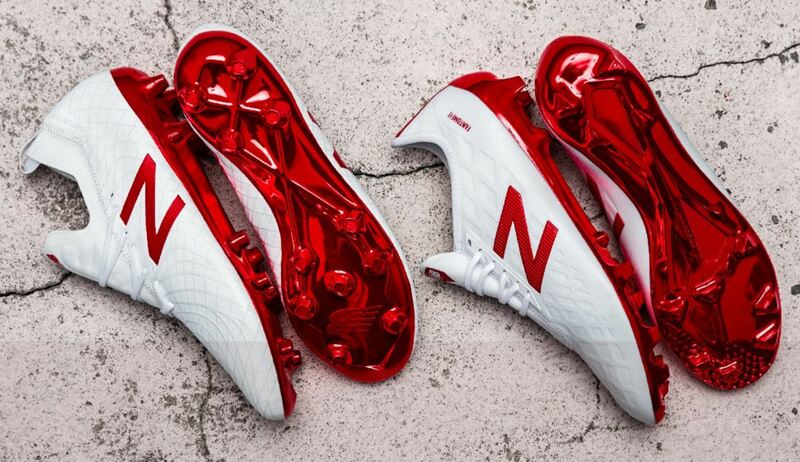 New Balance are the next brand up to introduce their boots that will be worn at this Summer’s World Cup. Welcome in the Russian inspired Otruska Pack. 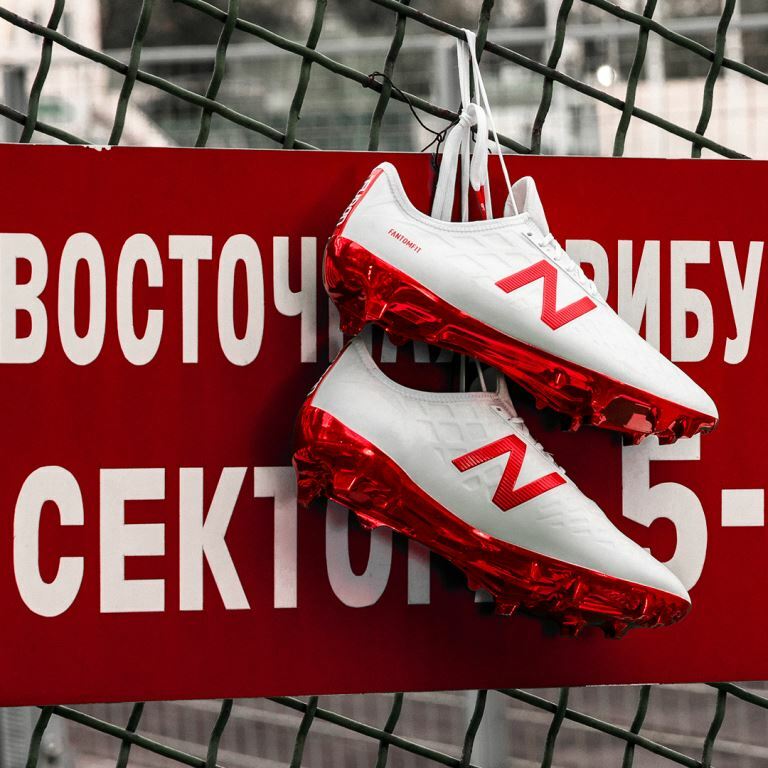 Designed with key callouts to Russia, the Otruska Pack gives fans a first glimpse of New Balance Football’s new boot, Tekela, in addition to an upgraded Furon 4.0 boot. As a result, there is an extra special feel to this special edition pack. Both boots feature a White colorway with Flame Red detailing and draw inspiration from the mythical two-headed hell hound, Orthrus, representing attack in dual form, Ferocity and Deception. We should note here that is actually a limited quantity pack. Details for both boots are listed below, or you can currently find the collection available at soccer.com. Tekela is the boot that draws immediate intrigue. 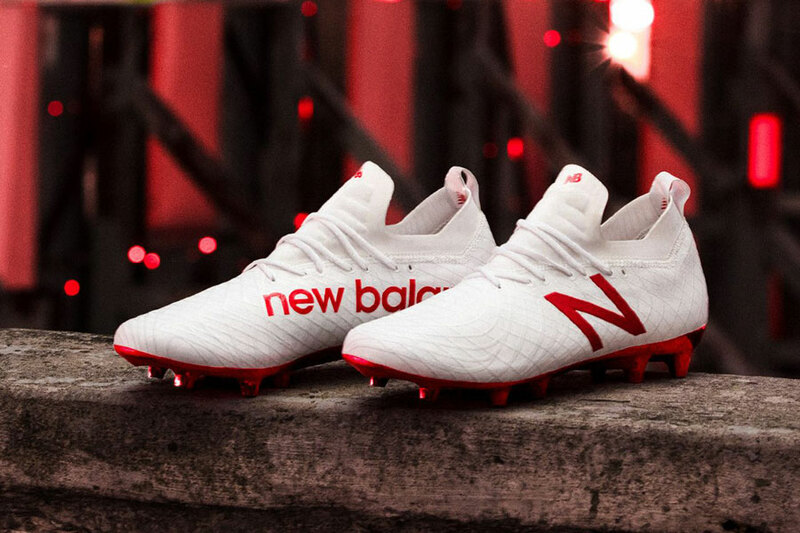 New Balance has continually been so positive with their visual designs, but performance just hasn’t been where it needs to be. Is the Tekela 1.0 the new boot that will elevate the brand to a completely new level? 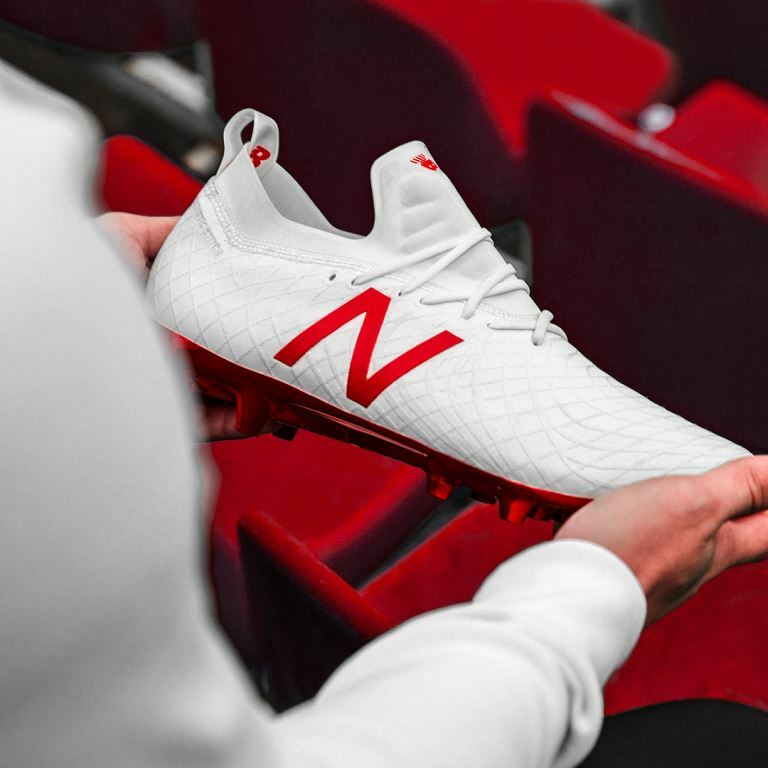 NB advertise it as a boot “for the innovators who use speed and maneuverability to change the outcome of games.” The upper is a full foot micro fibre with dynamic kinetic stitch embroidered bands. Tekela wearers can look forward to exceptional stability, feel and touch – allowing them to be fearlessly creative going forward. 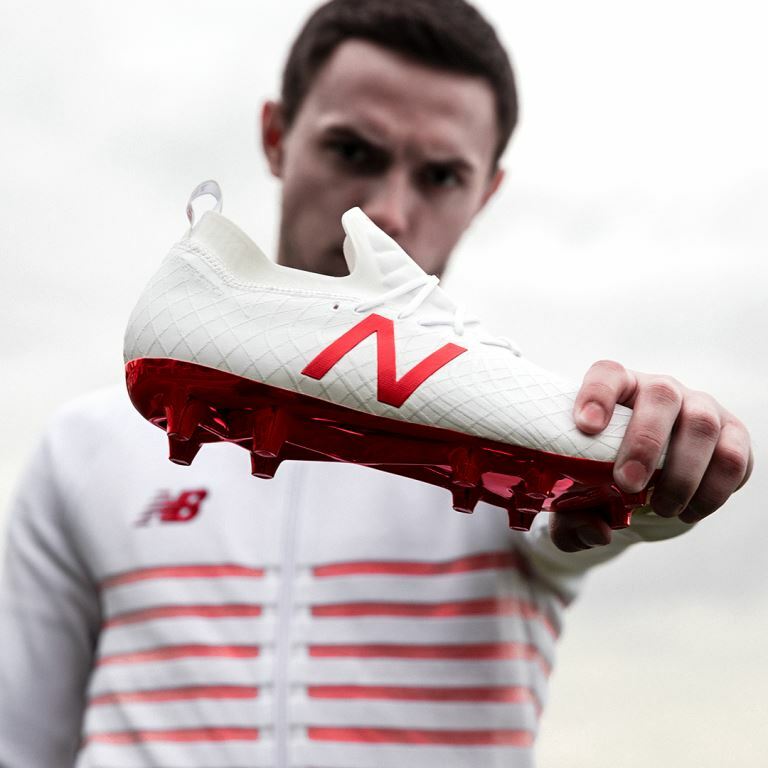 The outsole has been engineered for agility; featuring a TPU with inlayed nylon chassis, conical studs providing 360 rotational traction and finished with an Electro chrome plated outsole in flame. Designed for speed, acceleration and accuracy, the 4th generation Furon is designed for attackers who finish without mercy. Using FantomFit technology and Hidraskin touch membrane, with an enlarged cleanlace contact zone, Furon 4.0 allows for a precise strike in front of goal. The outsole has been engineered for acceleration; featuring a TPU with inlayed nylon chassis for increased stiffness, directional toe off texture and finished with an Electro chrome plated outsole in flame. 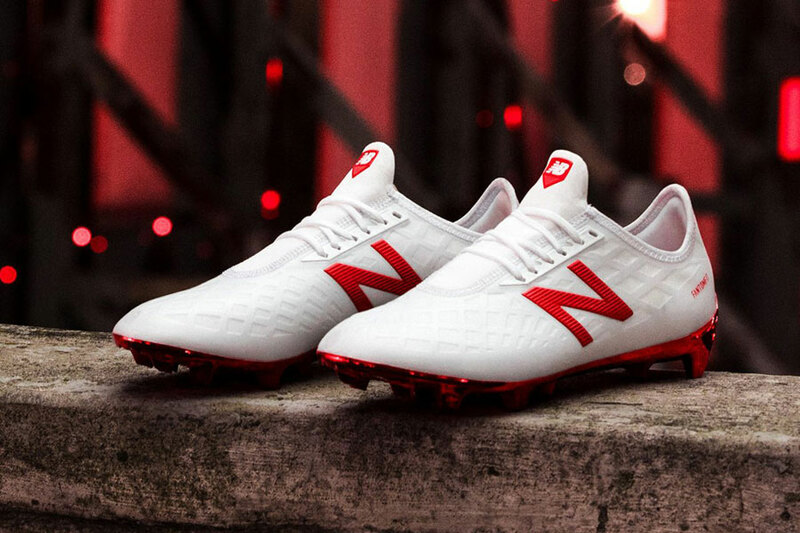 Both boots will be worn by New Balance pro-players in the tournament this summer. Completing the pack is the 574 Sport and stylish Fresh Foam Cruz Sport lifestyle shoes, all in a striking White with Flame Red detail. Check out the full Otruska pack at soccer.com.